Creep resistance, strength, stiffness, hardness, dimensional stability, toughness, fatigue resistance, solvent and fuel resistance, abrasion resistance, low wear and low friction. Gears, bearings, conveyors, window guides, speaker grilles, ski-bindings, zippers, lighters, aerosol valves, medical devices, snap-fits, fasteners, furniture components. Extruded rods, slabs, sheeting and small diameter tubinh available as stock shapes. Stock shapes can be machined or stamped. DuPont™ Delrin® acetal resin, the world's first acetal polymer is a highly versatile engineering polymer. Since its introduction in 1960, it has been widely used around the world in many applications such as the automotive, industial, electronic and consumer goods industries. Delrin® is the DuPont™ registered trademark for its brand of acetal homopolymer resin also commonly referred to as polyoxymethylene (POM). Polycetal copolymer was invented by Celanese around two years later in 1962. The performance of DuPont™ Delrin® acetal resin in terms of its strength, flexibility and fatigue resistance is critical to the reliable operation of tray arresters fitted in Medstor medical cabinets. 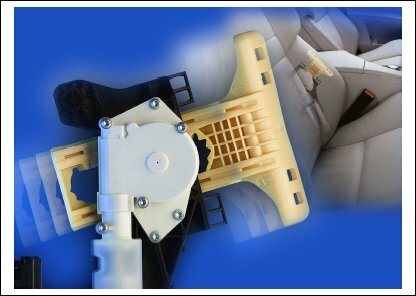 Active backrest wifth adjustment from L&P Automotive Europe ensure optimal side support when taking the fastest corners. A principle component of the adjustment mechanism is a T-shapred slide element made of DuPont™ Delrin® 100KM acetal resin. It withstands high bending forces and enables smooth adjustment of the angle between backrest and its sides. 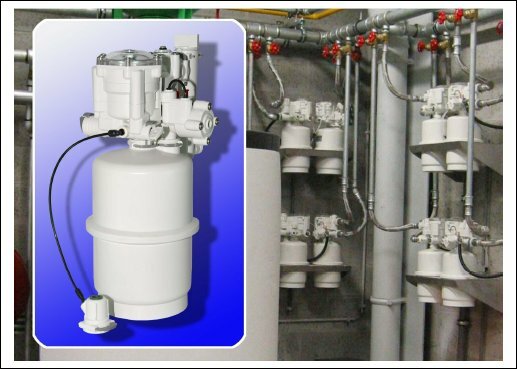 The excellent mechanical properties of Delrin® coupled with its aesthetical benefits of surface finish and colourability made it the ideal material for this water management device. The resulting device wrighs less than anything comparable without sacrificing efficiency or durability. Delrin® 500P compounded with a silicone oil concentrate from DuPont™, meets the requirements of low friction, wear resistance, high strength, fatigue endurance, dimensional stability and consistent moudling productivity. 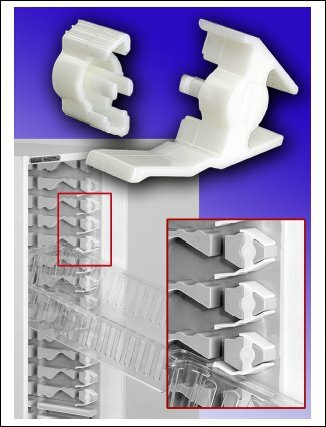 The combination of characteristics of unreinforced Delrin® acetal that made this design possible include blend toughness and stiffness, high tensile strength, dimensional stability and a low-fristion surface. Delrin® Super Tough acetal resin was selected for the housing because the material can be ultrasonically wielded in common with the rest of the closure system, its very low friction coefficient, its outstanding mechanical resistance and dimensional stability. Delrin® also displays excellent low temprature resistance to -20 degree centigrade which means that the closure system will perform well even in very cold conditions. Delrin® acetal resins have been used in gears for more than 40 ears in hundreds of diverse products including windshield wipers, window lifts, speedometers, rotary pumps, appliances, power tools, clocks and office automation equipment.